Hawker Zaliah Ishak with her $1 nasi lemak. 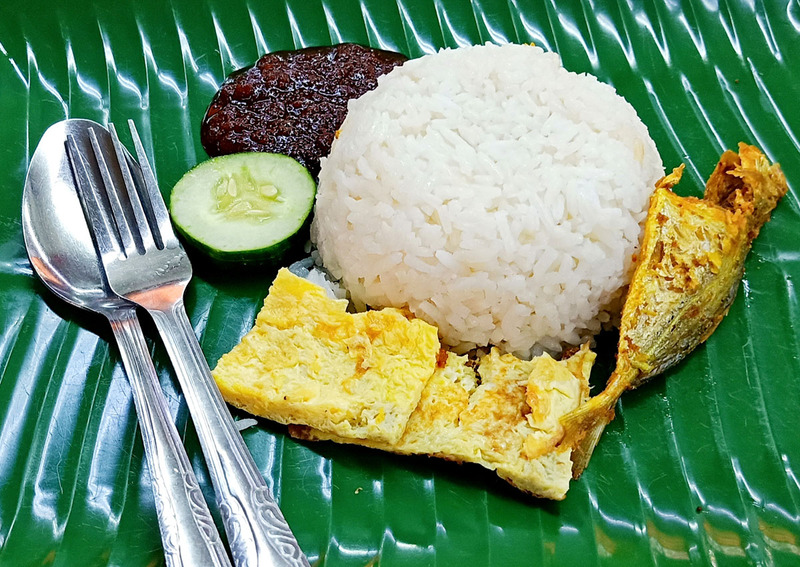 In a world where the humble nasi lemak can sell for over $10, it is both life-affirming and faith-restoring that a makcik is still hawking the dish at a tenth of that figure. Zaliah Ishak's food stall Kedai Makan Muhajirin has kept the price of its coconut rice with fish, egg, cucumber and sambal chilli at $1 for 32 years. The popular stall in Toa Payoh almost entered the history books in December though, when their unit at block 18, Lorong 7 shut down. Owner Zaliah saw it as a chance to retire. "I didn't want to sell anymore," she told the video website Our Grandfather Story. But many customers contacted her, asking questions such as, "How are we going to find $1 nasi lemak?" She added, "My husband also encouraged me to continue. He said it's better if we work. If we work every day, our health will not deteriorate." Kedai Makan Muhajirin reopened at block 20, just a short distance away. The stall serves 300 to 500 portions of nasi lemak in half a day's work, with queues stretching out of the coffeeshop. They also sell other Malay classics such as mee rebus, mee siam and lontong at $2.50. The makcik explained that the older estate made her keep prices low, but ultimately it is a philosophy of not putting money first. "It's true that I get tired, but I like what I am doing," she said in the interview. "When people get to eat my food every day, I feel happy and motivated. "Money alone cannot make us happy. The satisfaction that we get from running our business comes from being sincere. This is very important to me." It also seems like Kedai Makan Muhajirin will carry on providing $1 nasi lemak after Zaliah retires - daughter-in-law Nana Azlina is set to take over the business.